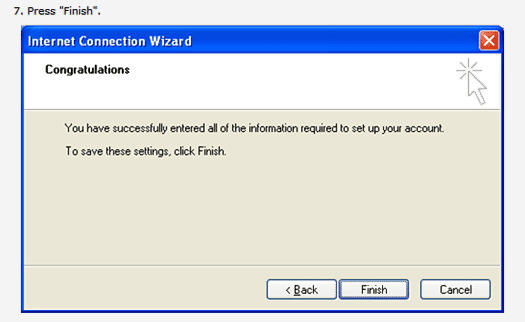 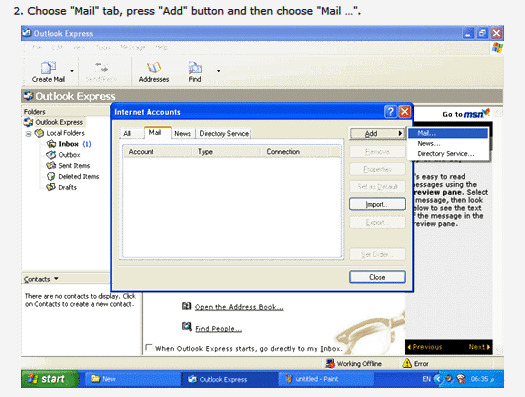 1-Open Outlook Express and From "Tools" select "Accounts". 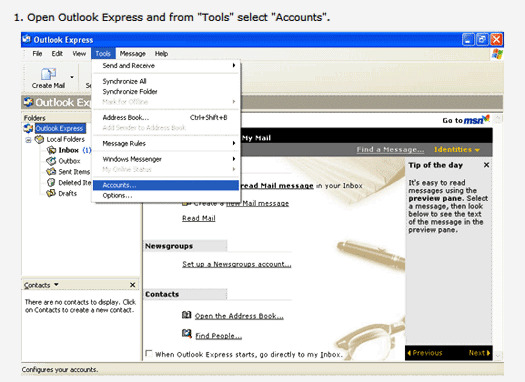 2-Choose "Mail" tab, press "Add" button and then choose "Mail".  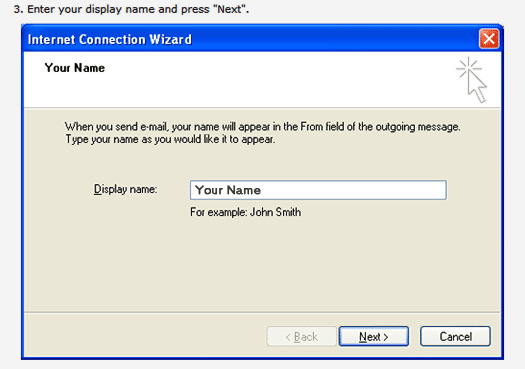 3-Enter your display name and press "Next". 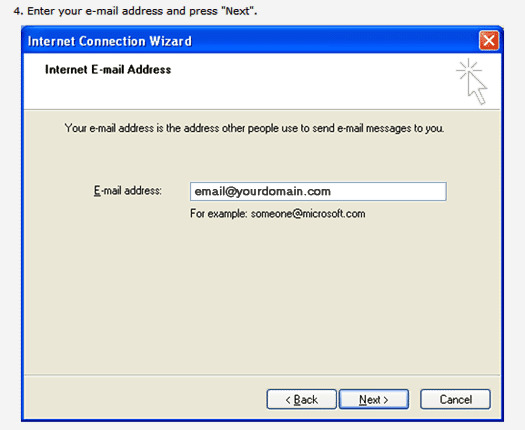 4-Enter your Email Address name and press "Next". 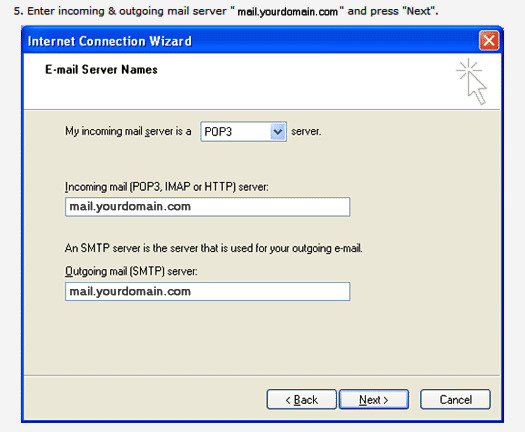 5-Enter incoming & outgoing mail server "mailyourdomain.com" and press "Next". 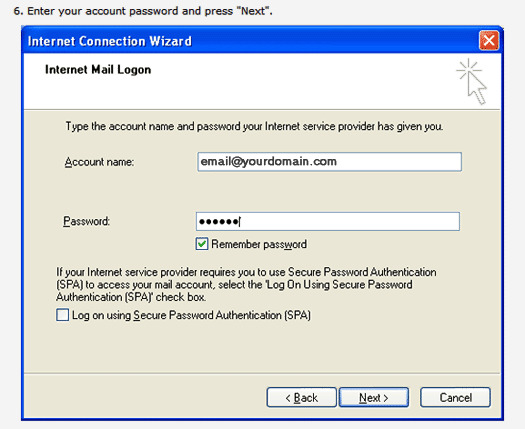 6-Enter your account password and press "Next". 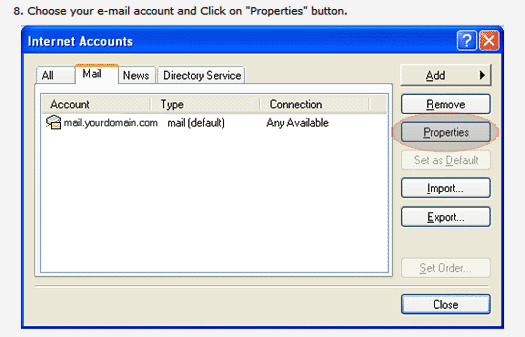 8-Choose your email account and click "Properties" button. 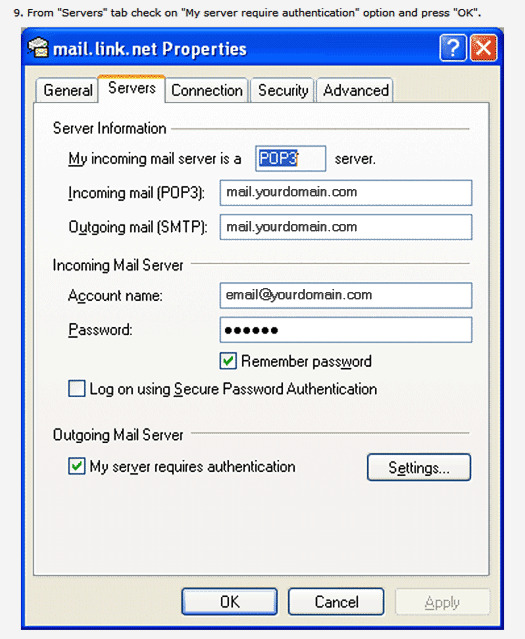 9-From "Servers" tab check on "My Server Require Authentication" and press "Ok".